Fedora 28 is Finally Released, Download Now! Fedora 28 has been released on May 01, 2018 with many changes and improvements than the previous version. Fedora 28 desktop edition required at least 1 GHz processor, 1 GB RAM, and 10 GB space available to install. The Fedora 28 Desktop edition is available in both 64-bit and 32-bit architecture. You can use following download links to download Fedora Desktop as per your choice and requirement. GNOME is the default desktop environment. Existing Fedora users can upgrade your system to Fedora 28 from Fedora 27,26,25 using these instructions. 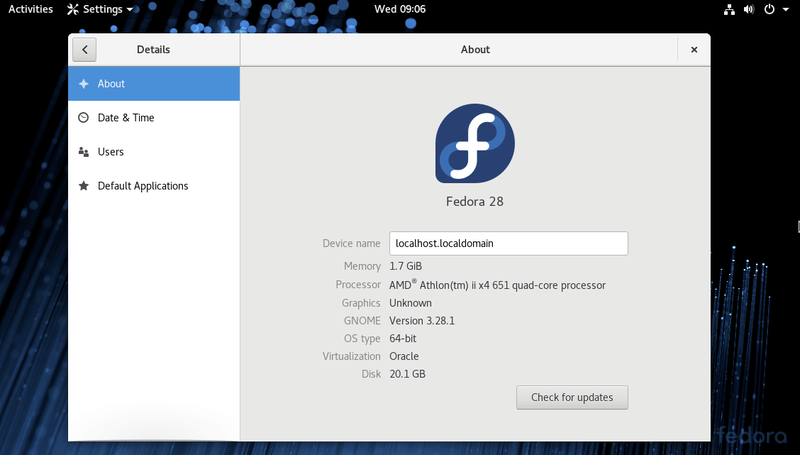 The Fedora 28 Server edition is available with 64-bit architecture only. Use the below link to download Fedora 28 server.